Hyderabad and Secunderabad are twin cities. Hyderabad is the capital of Telangana. The city is a beautiful blend of old heritage and modern technology. 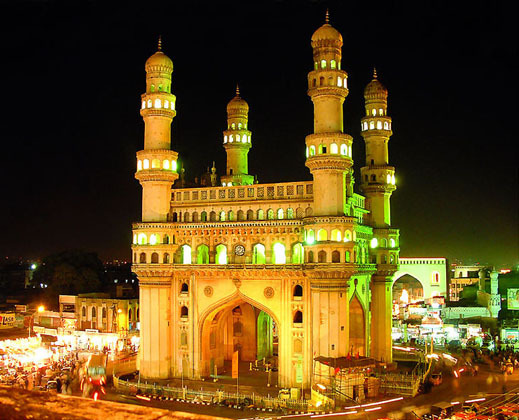 It has the legacy from the Nizams of Hyderabad as well as modern development due to continuous political interest. In olden days it was famous for the Nizams with their precious gem collection. Nowadays it is a world famous IT center. The weather in Hyderabad is very pleasant. The city is hot during the months of May and June. For the rest of the year the climate is very comfortable.The temperature varies from 15-25 degree in 24 hours. Special winter clothes are not required here. The monsoon comes here in the beginning of June.